Welcome to our new website! We hope you enjoy browsing our range of products, and look forward to introducing our online store in the near future. In the meantime, please don’t hesitate to contact us by phone, email or Messenger to purchase our products. There are literally hundreds of products in store too, so please call in and say G’day at our showroom at 217 Anzac Avenue, Toowoomba. 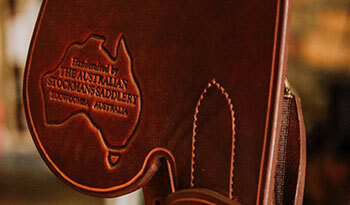 Ben and I would like to introduce ourselves as the new owners of Australian Stockmans Saddlery. We are excited to be working from the amazing new store at 217 Anzac Avenue. It is so enjoyable greeting all of the familiar faces again, and meeting so many new ones! We are so happy that the love for horses, station life, polocrosse and campdrafting is still thriving in this community. It is something that we all have in common and are fortunate to be part of in our daily work life. Nothing makes us happier than seeing a satisfied customer enjoying their new gear in the paddock, field and arena. 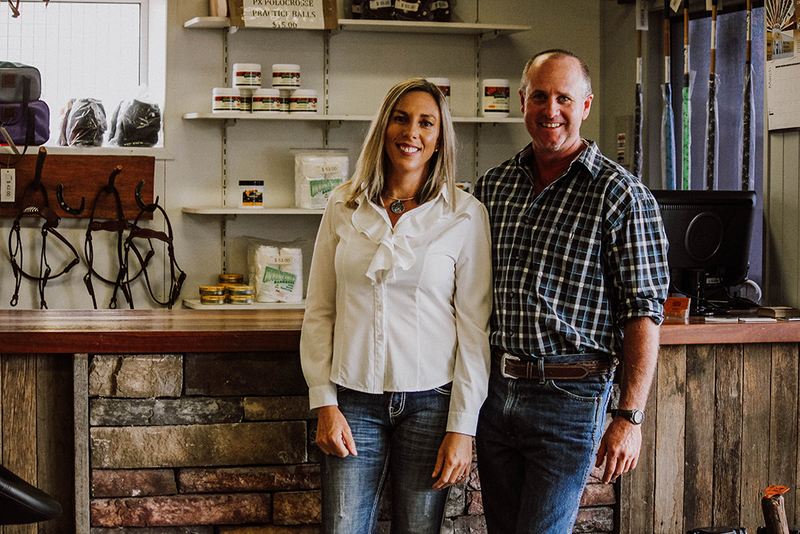 It has been a dream come true for Ben to take up business building saddles and strapping here at Australian Stockmans Saddlery. We cannot thank Craig and Kris enough for giving us this opportunity, and plan on continuing the same level of service and commitment they have offered for so long. So if you’re ever passing through town or need to stock up on supplies, we would love to hear from you or see you. We can help you find exactly what you need to make time spent on your horse the best it can be.